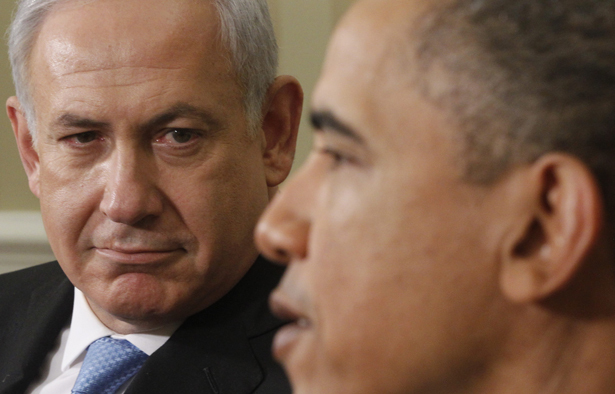 Washington is being patient on talks with Tehran—Israel, less so. It’s no surprise that the latest round of talks between Iran and the P5+1 ended with no deal. That much was predicted by all, especially since Iran is getting ready for what promises to be a contentious and controversial presidential election in June. But it’s instructive to contrast the reactions from American officials and Israeli officials to the lack of a breakthrough in Almaty, Kazakhstan, where the talks took place on Friday and Saturday. There may not have been a breakthrough, but there also was not a breakdown. This failure was predictable. Israel has already warned that the Iranians are exploiting the talks in order to play for time while making additional progress in enriching uranium for an atomic bomb.… The time has come for the world to take a more assertive stand and make it unequivocally clear to the Iranians that the negotiations games have run their course. Israel has already warned that the Iranians are exploiting the talks in order to play for time while making additional progress in enriching uranium for an atomic bomb. Israel believes that without a significant and tangible threat, including a short timetable, it is clear that achieving the dismantling of the nuclear project will not be possible. There was somewhat of a gap that remains, obviously, as a consequence of the discussions that they had in Almaty. But the door is still open to doing that, and yes, indeed, it is important to continue to talk and to try to find the common ground. In other words, calm down, Yuval. No reason, in other words, to accept Israel’s view that the West needs to set some arbitrary deadline for military action. Indeed, there is absolutely no chance that the United States will choose to use the infamous military option that is always “on the table,” since war with Iran would have incalculable and catastrophic consequences. In fact, Israel is more and more isolated, and its demand for military action is sounding ever more shrill. By now, the Israelis have figured out that the United States and the West aren't going to attack Iran over a nonexistent bomb, and despite their bluster Israel doesn’t have the capacity to go it alone. Meanwhile, both China and Russia have clearly stated that the P5+1 must recognize Iran’s right to enrich uranium, and the more they repeat that view the more the United States and its Western allies will have to move overtly in that direction as part of a deal. So far, Washington has resisted a forthright declaration that Iran has the right to enrich, though it’s increasingly recognized in Washington that no resolution to the standoff is possible without including that in a final package. Inside Iran, candidates for president and their allies, inside and outside Iran’s parliament, are competing with each other to defend Iran’s nuclear program and its right to enrich, and they’re lining up to blame the United States and the West for refusing to accept the idea. For that reason alone, it’s inconceivable that Iran would capitulate to the United States, especially because doing so would make it appear as if strict economic sanctions against Iran forced its leaders to give in. If the Iranian election goes smoothly, far from certain after the chaos that followed the 2009 reelection of Mahmoud Ahmadinejad, it’s possible that Ayatollah Ali Khamenei will be ready for a deal in the fall. As I’ve written often, for President Obama it will be easier to make a deal then, too, since the president he’ll be dealing with won’t be named Ahmadinejad, whose bombast has made him politically radioactive in American politics. Is Keystone XL the Stonewall of the climate movement? Read Bill McKibben's take.